As unpredictable as the weather is in the UK, November is celebrated as being the best time of year to plant trees. Factors such as stable temperatures and high rainfall levels help roots to grow and settle before winter arrives. Trees planted in November also require less aftercare than trees planted in other seasons, because of this, an annual event was launched to coincide with this. National Tree Week is the UK’s biggest annual festival of trees and it aims on encouraging a positive attitude about planting trees. This year, National Tree Week is running from Saturday 26th November to Sunday 4th December 2016 and will inspire a quarter of a million people to use their green fingers to plant around 1 million trees around the country. The Tree Council is the UK’s lead charity for promoting the importance of trees and is responsible for organising National Tree Week. National Tree Week was first introduced in 1975 highlighting the fact that the UK is one of the least tree inhabited countries in Europe. Around a million trees are planted each year by schools, community organisations and local authorities to aim at combating this problem. 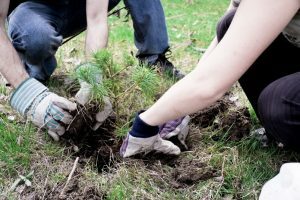 For those who are unable to plant a tree, there are many other ways to get involved. You can contribute by adding a tree story or memory for the Charter for Trees, Woods and People which launches in 2017. 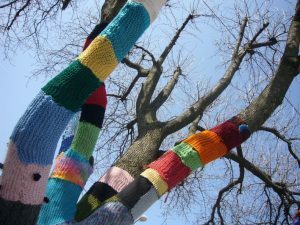 Alternatively, if you are feeling creative, you can take part in the annual Tree Dressing Day taking place on Saturday 3rd December. Tree Dressing Day is based on ancient traditions and customs from all over the world and is a great way to raise awareness of the importance of trees in the public domain and hence value and care for trees a lot more. Strangely enough, despite tradition, London hosts its tree week in May and not in November like the rest of the country. The Mayor of London runs the event in May of each year where you can get involved with various activities and events. These events include learning about the history of London’s Mulberry trees, going for a walk around the urban forest at the Heygate Estate and attending evening talks from industry professionals. If you are passionate about photography, there is also a London Tree Week photography competition where you can share your photos of social media platforms and organisers choose a photo of the day and a photo of the week.